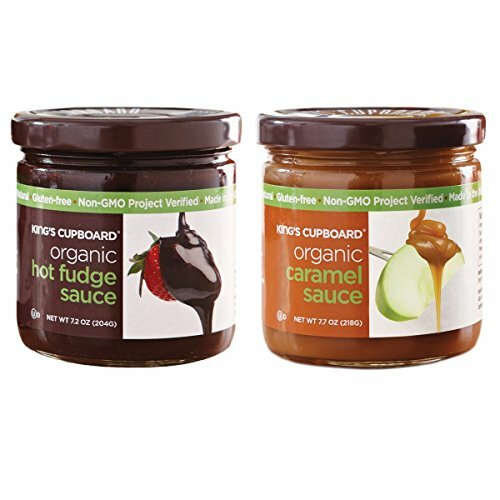 King's CupboardOrganic Hot Fudge Topping 7.2 oz.This Sampler gift set consists of two of our absolute favorites; Organic Caramel Sauce and Organic Hot Fudge. 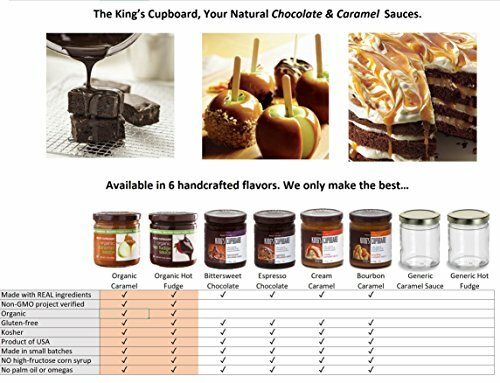 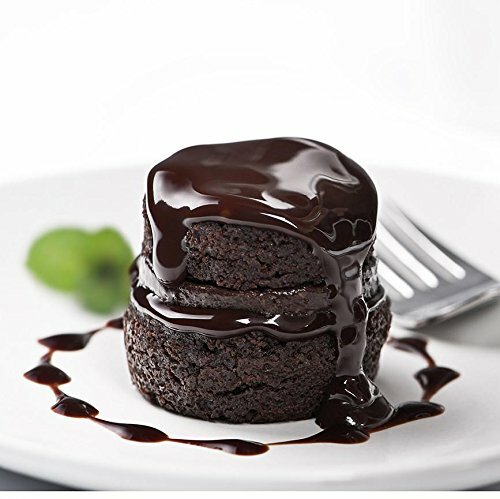 We continued our tradition of using only pure and simple ingredients (no preservatives, artificial flavors, or artificial colors) when we developed our smooth and silky Kings Cupboard Organic Caramel and Hot Fudge Sauce. 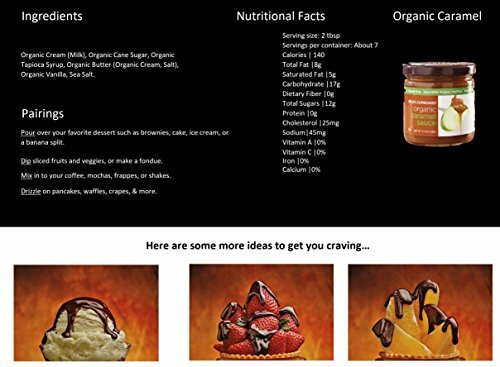 All ingredients that we use are certified organic by Montana Dept. 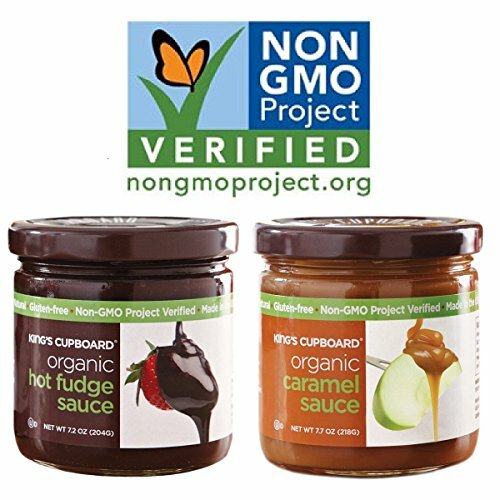 of Agriculture and free of GMOs. 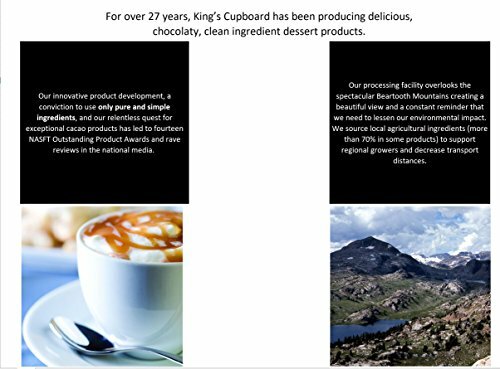 We also make sure that all the dairy that we use comes from happy, healthy cows that are not treated with rBGH (rBST). 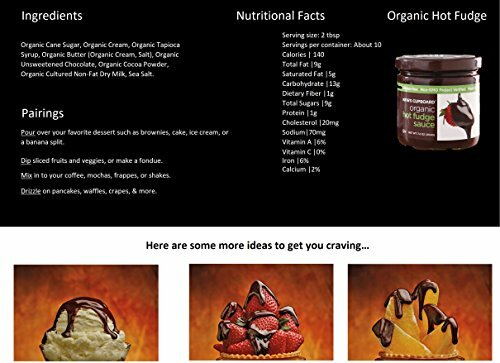 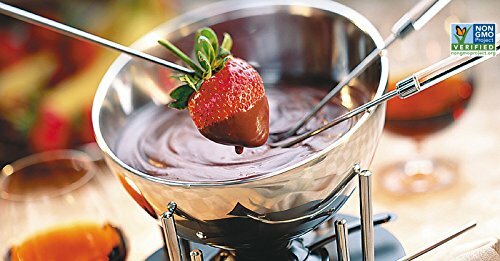 We blend fine organic chocolate and cocoa with organic sugar, sweet organic butter and fresh Montana organic cream to produce a rich and complex flavor that is beyond compare!--Our organic hot fudge is amazing drizzled on ice cream, brownies, cakes, crepes, yogurt, or fresh fruit. 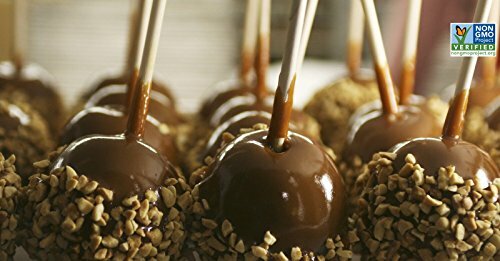 This is the perfect fudge for a trusty kitchen go-to, holidays, family gatherings, gifting, and indulgence.INGREDIENTS:Organic cane sugar, organic cream, organic tapioca syrup, organic butter (organic cream, salt), organic unsweetened chocolate, organic cocoa powder, organic cultured nonfat dry milk, sea salt.